It's the first of August. Time continues its onwards flow. Last month a musician-composer-producer called bansheebeat from Tucson, Arizona premiered his very nice track 'Shinsekai' here on YES/NO. The track was a dazzling odyssey of discovery, taken from the musicmaker's recently released, two-years-in-the-making album, Lumine; I'd recommend you check it out – the mix of styles, the beat-led foundations, the compositional style and allusions to VGM and chiptune, all of it resonates happily with anybody with even a remote interest in any of those things. 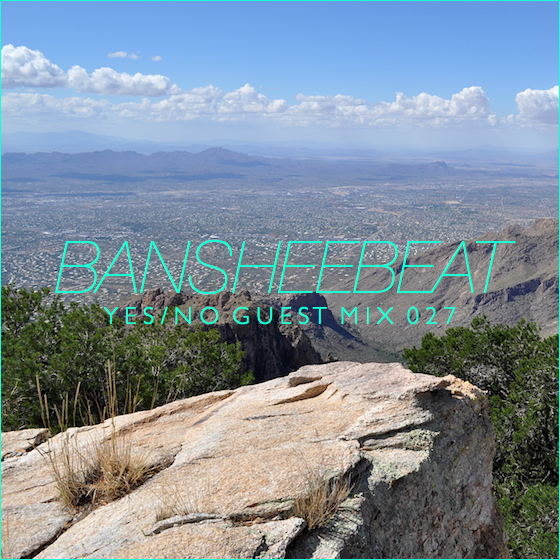 In celebration of the release of his album, bansheebeat decided to craft a tasty mix for YES/NO. It begins by paying dues to a host of net producers, web-based musicmakers including Mister Lies, Cashmere Cat, Koloto, Skylar Spence… In fact, the transition between 'Mr. Wonderful' by Skylar Spence (fka Saint Pepsi), Clams Casino classic 'I'm God' and the glitching 'Fox Tales' by Koloto, is a few minutes of fantastic, flawless atmosphere; it soon moves on to a second half characterised by more regulated beats than came before, and a more expansive yet still inward-facing atmosphere courtesy of music from Four Tet, Moderat and Monolake, finishing up with the floating, effusive 'Mythril Stone' by beat producer memory cards. Please enjoy this half-hour of music below.